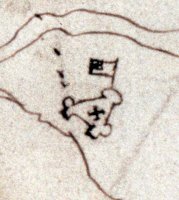 On the following pages, organized by decade, we follow the history of the United States from the days before the American Revolution to the present day in the U.S. History Timeline. Each page includes five of the most important events that occurred each year during that decade, with a short explanation of the event and its significance. Take the time to read about the hows, whens, and whys of history. There's a ton of surprises just around the bend. Did you know the Fax Machine was actually invented before 1900, but nobody cared to use it, ... kinda just like today. Did you know that at the 1876 Philadelphia Centennial Exhibition, the exhibits included the Statue of Liberty's torch and arm, Alexander Graham Bell and the phone (no, not cell phone), Thomas Edison and the phonograph, and more modern inventions that we take for granted today than you can shake a hickory stick at. Do you know anyone who shakes a hickory stick? Yes, they used to do and say that. Go visit the places where history happened. It's a lot more interesting than you think and includes such a variety of history from politics to how the United States and nature merged to form the union we have today. Our national parks and historic sites tell that story, including the well known and lesser known spotlights around every corner. Check out the official souvenirs from America's Best History on the nation's best national parks and historic sites. 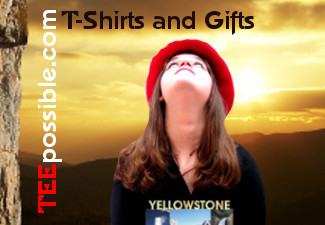 Sold at Zazzle, Cafepress, and Amazon. 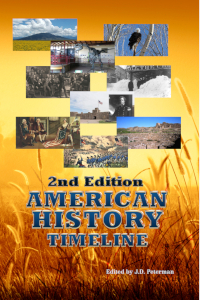 Want to get a copy of the America's Best History Timeline for yourself or as gift for a friend, student, or family member. It's now available in easy to read, print, and search Digital format or Paperback from Amazon.com, Barnes and Noble, or directly in pdf format from us. 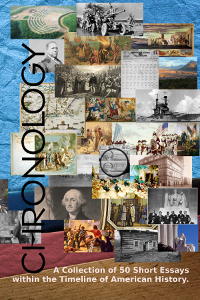 Check out Chronology, the NEW BOOK from the Staff at America's Best History. Chronology, a Collection of Fifty Short Essays Within the Timeline of American History. Now available in Paperback, Ebook, and PDF formats at a bookstore near you. PDF Digital Copy for less than half price, ONLY $4.95. Check it out. I'd say this would be great for anyone from age 12 and up who needs to know the context of history or the history buff who wants to be reminded where and when things happened. Recommended. This was a great refresher for someone who was very big into my history lessons. Great for quizzing your kids. 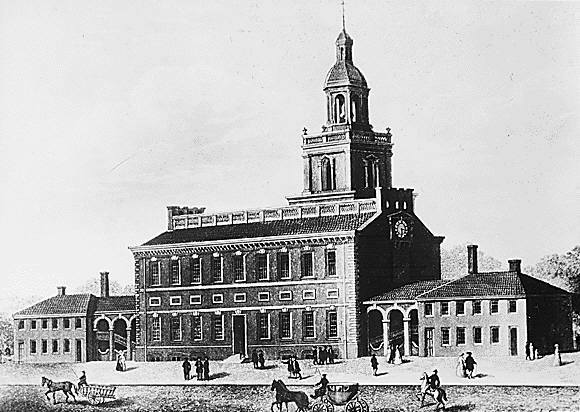 The Timeline of America's Best History from americasbesthistory.com has been used by the video department of the Freemasons Association as a reference source in a documentary on the Masons in history. Up to 14,000 people per day use America's Best History and the U.S. Timeline to check on the context of history as well as to read about the best historic sites and national parks in the United States to visit.